Happy Friday!! 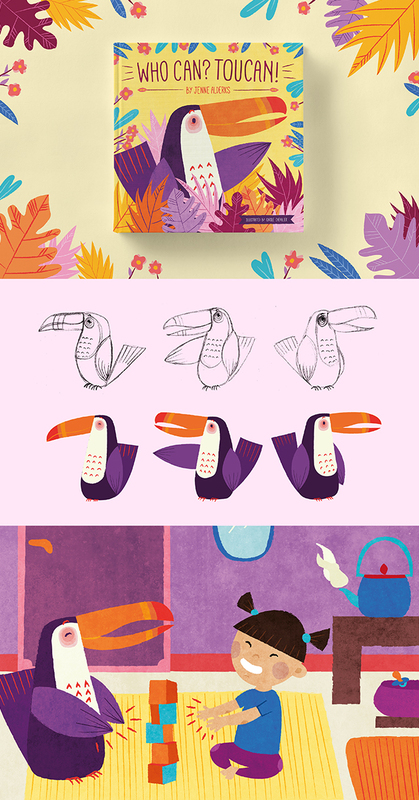 So yes, this is very BIG for me: my first ever illustrations for a children's book! When I decided to go freelance full-time, apart from wanting so badly to be my own boss, the one goal I had was to start working on illustrations for children's books (and one day maybe creating my own!). After many rejections when sending proposals, Jenne, who wrote the book, gave me the opportunity to work on the book's illustrations and its characters. I was over the moon! Although she sent me a proper brief of what she wanted to show on each page, once we agreed on a style, I had total freedom on the illustrations and I had so much fun because of that. We changed a few things here and there along the way, but the process was overall very smooth and I CANNOT WAIT to work on more books. I definitely realised whilst working on it that this is the kind of project I'm passionate about and I felt like I was concentrating on the right thing. If you'd like to see more, feel free to have a look on my website, and if you'd like to purchase the Kindle version, you can now find it on Amazon! I loved working with you! Thank you for bring my concept to beautiful fruition!